Although we have discussed the Liang Zhen Pu style of Ba Gua Zhang as taught by Li Zi Ming in a previous issue of the Journal (Vol. 3, No. 3), we did not focus on Li Zi Ming's background and did not talk about what has happened to his Ba Gua system and the Ba Gua Association he presided over since the time of his death. In this article we will address these topics and also present an overall viewpoint of the Li Zi Ming system of Ba Gua as seen by Li's American disciple, Vince Black. Li Zi Ming (4- also known as Li Yong (4- it), was born on June 24, 1900, in Li Jia Tao Yuan Village, Ji County, Hebei Province (some reports say that he was born on August 4, 1902). The Li family was noble and one of the wealthiest family's in Ji County. Li Zi Ming's father, Li Jin Yin (4- # ^P), had inherited land and several dozen houses, as well as a one-sixth share in the Yong Sheng Yu Gold Shop in Liaoyang city, from his grandfather. Li Jin Yin was not interested in farming or in shop managing. He asked his younger brother to run the gold shop for him and spent his time studying books and poetry by himself. He eventually became a teacher in the old style school. Another younger brother of Li Jin Yin, Li Jin Qing (^f-^F), was famous for his martial arts skill and bravery. He was strong and fond of drinking. People nicknamed him "three-pot" Li because once he started drinking he would not stop until he had consumed three pots of alcohol. Li Jin Yu's father-in-law was a skilled painter and he made a living by painting and decorating ancient houses. Under such family circumstances, the young Li Zi Ming became fond of literature, painting, and martial arts. At the age of 4, Li Zi Ming went to the school where his father taught, began to practice martial arts with his uncle, and frequently went to watch his grandfather paint and decorate. Since Li Jin Yin had taken the imperial exams many times without success, he did not want his son to follow his example and try to become a scholar, nor did he want Li to become too enthusiastic about martial arts. He had hoped that Li Zi Ming would develop some business sense and follow a career in business management. When Li Zi Ming was sixteen years old his father sent him to the Yong Shen Yu Gold Shop to be an apprentice and learn how to run a business. Great Learning, the Doctrine of the Mean, the Analects of Confucius, and Mencius) and the Five Classics (the Book of Songs, the Book of History, the Book of Changes, the Book of Rites, and the Spring and Autumn Annals). He also took Liang Zhen Pu ft -Jit ), Dong Hai Chuan's (ifc^Ml) disciple, as his teacher of Ba Gua Zhang. Later, Li Zi Ming learned Chinese painting from the famous painter Qi Bai Shi (# & ^G ). He was praised for his ability to imitate Qi's technique. "When I was in Yong Sheng Yu Gold Shop in Liaoyang city, my father and my uncle held different opinions of family affairs and my father was discriminated by my uncle (the manager of the gold shop). I was ill because of depression. I had big troubles in the heart, lungs, and stomach. Neither Chinese nor Western medicine was effective. I was afraid that I had to wait for death. I went back to my hometown and started to learn martial arts from Liang Zhen Pu (-^-fejrf), a Ba Gua Zhang teacher. I got instant results. I almost fully recovered after 100 days of practice. After one year, I fully recovered. So I dare not stop practicing martial arts. My teacher was my great benefactor." "Once when my parents went back to my hometown, I saw them off at the Tianjin train station. We met a group of ruffians who tried to take away our luggage on the excuse of checking the luggage on the train. I went up to reason with their leader. He lifted his leg to kick me. I grabbed his leg and threw him off his balance. Another guy came up and I beat him black and blue. 'This guy is so troublesome,' they said. An older man came to negotiate. The ruffians had to return the luggage. When we got on board the train, I thought that I was lucky to have practiced martial arts for 20 years. Otherwise I would have been beaten." 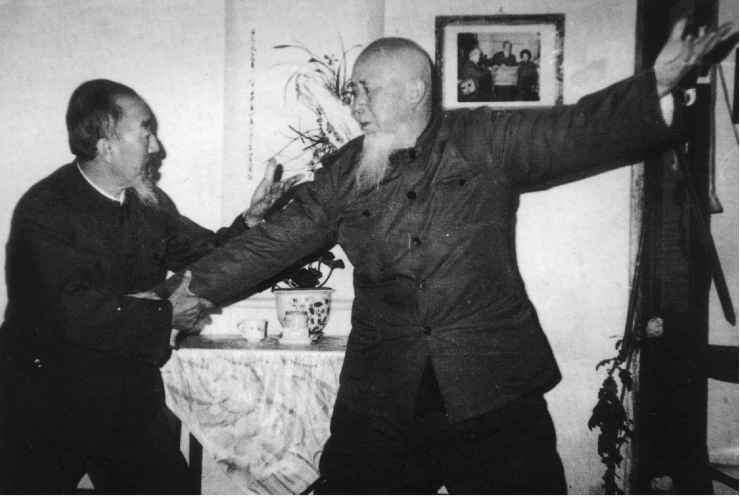 Based on his experiences Li Zi Ming always advocated the study of martial arts for both health and self-defense. Li Zi Ming started studying Ba Gua from Liang Zhen Pu when he was about 20 years old. In those days Liang Zhen Pu lived in Hou Zhong Village in Ji County, Hebei Province, which was just over 5 miles from Li's home. Li frequently walked to Liang's home to practice Ba Gua Zhang for a period of approximately four years. When Li was about 24 years old he left his home and went to Tianjin to learn a trade. Li continued to practice Ba Gua on his own and continued to study with Liang Zhen Pu when he had a chance to visit his home village. From Tianjin, Li Zi Ming went to work in Liao Ning where he spent approximately 12 years. During the war with Japan, Li engaged in subversive activity against the Japanese and continued practicing his martial arts. In 1938, Li moved to Beijing to work in a bookstore. After Li Zi Ming had moved to Beijing he found out that his senior Ba Gua "brother," Guo Gu Min (IP -fr & - see Pa Kua Chang Journal, Vol. 4, No. 3, page 22), was living alone. Li immediately invited Guo to live with him at the Ke Da company. After that, they ate at the same table for every meal and were together from morning until night studying martial arts skills and visiting martial arts friends. 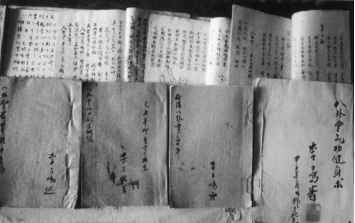 Some of the many handwritten manuscripts on Ba Gua Zhang written by Li Zi Ming many other teachers in the Beijing Ba Gua community assumed that Guo Gu Min had been Li Zi Ming's only Ba Gua teacher. Some of the fourth generation inheritors of Ba Gua in Beijing, jealous that Li Zi Ming was one generation ahead of them, insisted that Li Zi Ming never learned from Liang Zhen Pu and thus he was really a fourth generation inheritor and a student of Guo Gu Min. Because Li was such a prominent figure in the martial arts community, it was natural that these kind of rumors would arise. While in Beijing, Li Zi Ming's thirst for knowledge in martial arts also led him to exchange martial arts experience with many of the other senior martial artists. 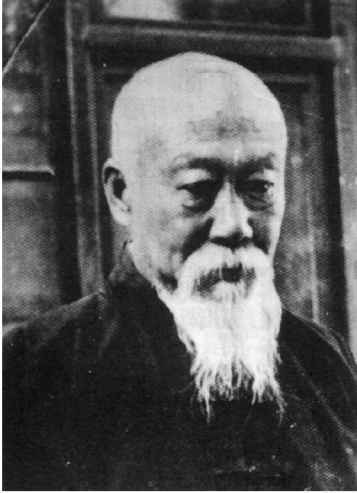 One such individual was Yin Fu style practitioner Zeng Xing San - 1862-1951). Zeng Xing San, also known as Zeng Zeng Qi ( ^ Hi , was a well known scholar who had studied Ba Gua with Yin Fu (f'iS). While Zeng was studying with Yin he was taken to see Dong Hai Chuan (i M i'l) on several occasions. Dong watched Zeng practice and approved of his Ba Gua. Being a scholar as well as a martial artist, Zeng had a deep understanding of boxing strategy and theory. Zeng Xing San and Guo Gu Min had a good relationship. Zeng gave Guo a handwritten copy of the book Ba Gua Zhuan Zhang Hui Lan (yV^h % S It). This book was perhaps the very first book to contain the 36 songs and 48 methods of Ba Gua which Li Zi Ming later annotated and published privately (for an English translation of Li's manuscript, refer to Liang Zhen Pu Eight Diagram Palm published by High View Publications). During the Cultural Revolution, Li Zi Ming was criticized and denounced as a "capitalist-roader" and an authority of the feudal culture. Li benefited once again from his martial arts background. In order to make Li admit his guilt, some strong young men (Red Guard) began to beat him. To their surprise, their own feet and hands were hurt but Li Zi Ming, who was over 60 years old at the time, still stood without showing signs of injury. The aggressors flew into a rage. They tied Li up and used a stick and a whip to beat him. Li's flesh was wounded, but not his bones or tendons. would have lost my life." After the fall of the "gang of four," Li Zi Ming's reputation was restored. He felt strongly that martial arts could dispel illness, strengthen health, and be used to defend one's self so he decided to devote the rest of his life to the promotion of martial arts. On one hand, he concentrated on teaching students and one the other hand he focused on systematizing the material and information he collected from his years of experience. He also studied the merits of other branches of Ba Gua to perfect the Liang Zhen Pu system. His written work included publication and annotation of the "36 songs" and "48 methods" of Ba Gua Zhang as well as the following books, Understanding Ba Gua Zhang, Dong Hai Chuan's Turning Palm, the Anecdotes of Ba Gua Zhang Masters, and Collections of Tidbits of Ba Gua Zhang. years, he only taught simple circle walking and a few of the basic forms. Li reserved all of the intermediate to advanced level training for the private sessions he conducted with his students at his home. Li emphasized qin na and throwing techniques in his style of Ba Gua and thus he felt that it was important for his students to feel him perform the technique in order to understand the subtle angles and the timing of the power application in these techniques. Vince Black, Li Zi Ming's American disciple, said that even Li's wife was fond of demonstrating techniques on Li's students when they arrived at his home for their private sessions. Black says that on many occasions when he arrived at Li's home for his lesson, Li's wife would shake his hand and try to apply some sort of thumb lock on him. 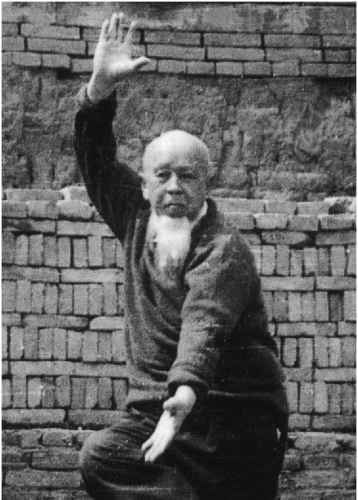 Even in Li's later years, when he spent most of his time sitting in a chair while correcting his student's practice, he still insisted on demonstrating certain locks and throws so that the student could gain experiential knowledge of the technique. Vince Black states that on one occasion, while Li was still sitting in his chair, he applied a wrist lock with such force that Black was thrown down on the floor. On another occasion Black says that he watched Li apply a lock on a visitor with such force that one of the legs of Li's chair collapsed underneath him and both Li and the other man went down onto the floor. Li got up laughing. Teaching private sessions allowed Li the opportunity to work closely with each of his students so that they could really feel the correct way to apply the applications. Vince Black said that Li Zi Ming loved to have "hands-on" interaction with his students. At first Vince thought that it was because Li's eyes were getting bad in his old age. However, after talking with some of Li's senior students, Black realized that Li had always taught this way. Additionally, the private sessions also helped ensure that the government, who frowned upon martial arts being taught for fighting, did not find out that Li was teaching these things. Li Zi Ming loved his martial arts and taught his students openly, however, all of his students were carefully picked. He believed that each student should be taught according to their skill level and aptitude for learning and thus he taught each student differently. His preference for teaching in private sessions allowed him to teach each student exactly what they needed to learn. The one drawback that has arisen from Li's private teaching methods is that Li's students did not have the opportunity to interact with each other very frequently. Groups of students would work together at times, but not all of the students interacted. This has led to jealously among the different groups. Since no one really knew what the others were learning some of Li's students assume that they know more than the others. Now that Li is gone, some of his students want to try and position themselves as the inheritor of the system and will tell people that others didn't get the full teaching, etc. I have personally met, studied with, or interviewed eight to ten of Li's students and of that group there are only two or three who I felt were open and honest. I say this only to warn those individuals who might want to travel to China to study with one of Li's students that they should not trust anyone who tries to bad mouth Li's other students. There are too many restrictions on free hands fighting and the participants wear too much protective equipment. Li Zi Ming died on January 23, 1993 at the age of 92. On January 31, leaders in the martial arts world, scholars, painters and calligraphers, students, and friends, over 600 people, gathered at the Ba Bao Shan Public Cemetery to pay their last respects. On the altar, surrounding Li Zi Ming's portrait, there were bunches of fresh cut flowers near the alter and in the middle of the hall. Li Zi Ming's remains were laid among flowers and green cypress trees. Li was covered by a large white sheet which had the Ba Gua symbol on it. Wreaths of flowers sent by friends, family, and fellow martial artists were placed around the hall, along the corridor leading to the hall and out into the road. On both sides of the altar, the entrance to the hall, and in the shelter in front of the hall were placed couplets written on scrolls by famous contemporary calligraphers. These couplets summarized the achievements of Li Zi Ming's life. The couplets in the shelter said, "Advocating martial arts and its morals, he carried on chivalry, his great name shaking the world. Having students all over the world, he was a great master of our times and his skills will be passed on forever." The couplets at the entrance of the hall said, "Carrying forward the cause and forge ahead into the future, he is a great martial arts master that people highly praise. Upholding the martial arts morals and loyalty, he was a great teacher that the whole world respects." 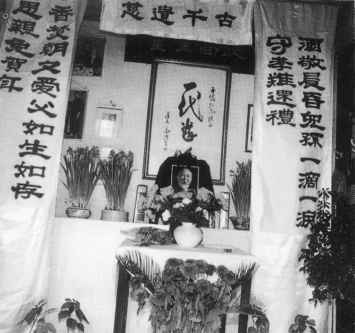 The couplets at the altar said, "A man of great talent and honesty, inheriting the treasures of martial arts and advocating martial arts, respecting teachers, upholding morality and justice, teaching students of valuable morals and skills, originating Ba Gua Zhang Research Association, having both happiness and long life, he is a good example and his deeds will be passed from generation to generation. A learned martial arts scholar with noble character, a chivalrous man who united the martial artists, respecting friends and merits, exercising good ways of teaching his children, he also wrote books of internal school boxing and he was a great master and set an example throughout his life." 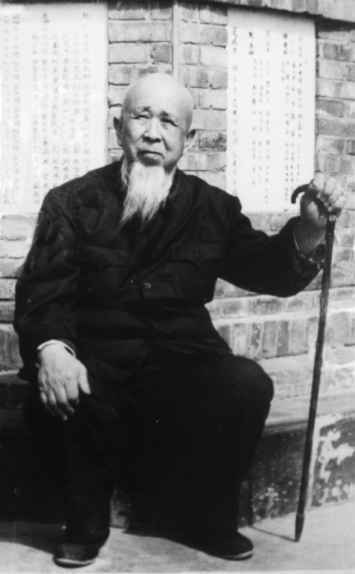 For the last 20 years of his life, Li Zi Ming stood as the pillar of the Ba Gua community in mainland China. He presided over the Ba Gua Zhang Research Association and did so magnificently. Unfortunately, because he was such a prominent figure, other senior Ba Gua practitioners were somewhat jealous of Li and said he was "just a political figure." Because Li taught each of his students privately, others did not know exactly what Li was teaching. Many of Li's top students are conservative and have kept to themselves. Unfortunately, some of Li's students decided to teach modern wushu and watered down Li's Ba Gua to fit the modern wushu criteria. Because of this, others assumed that this was representative of Li's teaching and dismissed his Ba Gua as not being authentic. Throughout his life Li Zi Ing continued to exchange information on Ba Gua Zhang with other prominent practitioners. Above Li Zi Ming and Sha Guo Cheng discuss Ba Gua application. "Modern wushu is breaking away from the practicality of martial arts. The traditional martial arts can possibly be promoted to adapt to the modern sports competition, but it should not be promoted like it is now being done." 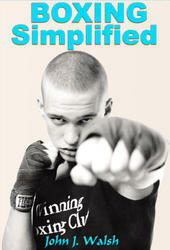 "There are too many restrictions on free hands fighting and the participants wear too much protective equipment. Too many restrictions will limit a skilled practitioner's technique. They have to pay too much attention to winning points. If a man cannot protect his eyes and his crotch without the aid of protective equipment, he should not even be qualified to be in the ring. Today, a practitioner who is not skilled, one who exposes the weak areas of his body to his opponent, can still enter the contest because he knows that his opponent will be breaking the rules to strike him in these vulnerable spots. This does not conform to the principles of attacking and defending in martial arts." Unfortunately, with Li Zi Ming's passing a void was left in the Ba Gua community that cannot easily be filled. Even before Li had passed away there was some infighting among his disciples and other representatives of the Ba Gua community as to who was going to fill his position as the president of the association. Some of the individuals seem dedicated to the promotion of Ba Gua while others seem more interested in personal gain. Unfortunately, the ones who are more interested in personal gain usually win in such a struggle. Li's students in China who I have seen perform Ba Gua, I have been the most impressed with Zhang Hua Sen.
Those individuals who are interested in finding a Li Zi Ming style Ba Gua practitioner in their area can obtain a referral from Tom Bisio (212) 226-3140 or Vince Black (602) 544-4838. Vince Black worked directly with Li Zi Ming over a period of three years and received the majority of Li Zi Ming's system. Before Li passed away he gave Vince a handwritten scroll appointing him an official lineage disciple and head of Li's Ba Gua in the United States. Since Li Zi Ming's death, Vince has traveled back to Beijing on three occasions to continue his practice and fill in the pieces of the system that he did not get directly from Li with one of Li Zi Ming's top students, Zhang Hua Sen (see Pa Kua Chang Journal Vol. 4, No. 3, page 17). Tom Bisio has studied Li's system with Vince Black and has also taken two trips to mainland China to study with Zhang Hua Sen. For more information about Tom Bisio see page 20. After Li passed away a shrine was erected in his memory in one of the rooms of his family's home Li's students are currently collecting money in order to build a permanent resting place for Li next to his teacher Liang Zhen Pu and his elder classmate Guo Gu Min near Dong Hai Chuan's tomb. 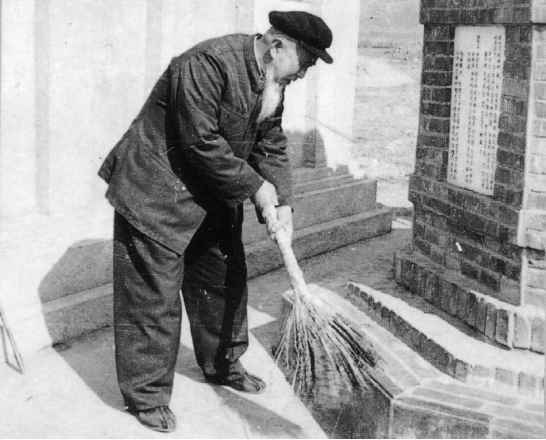 During the early part of the 1980's, Li Zi Ming led a group of Ba Gua Zhang enthusiasts in the restoration and relocation of Dong Hai Chuan's tomb. Li also helped build memorials to his teacher Liang Zhen Pu and his senior classmate Guo Gu Min and had them placed along side Dong Hai Chuan. For the last ten years of his life Li frequently visited the tomb site to pay respects to his ancestors and helped to maintain the area. He loved to bring visitors to the tomb site and explain the history of Dong Hai Chuan and Ba Gua Zhang.